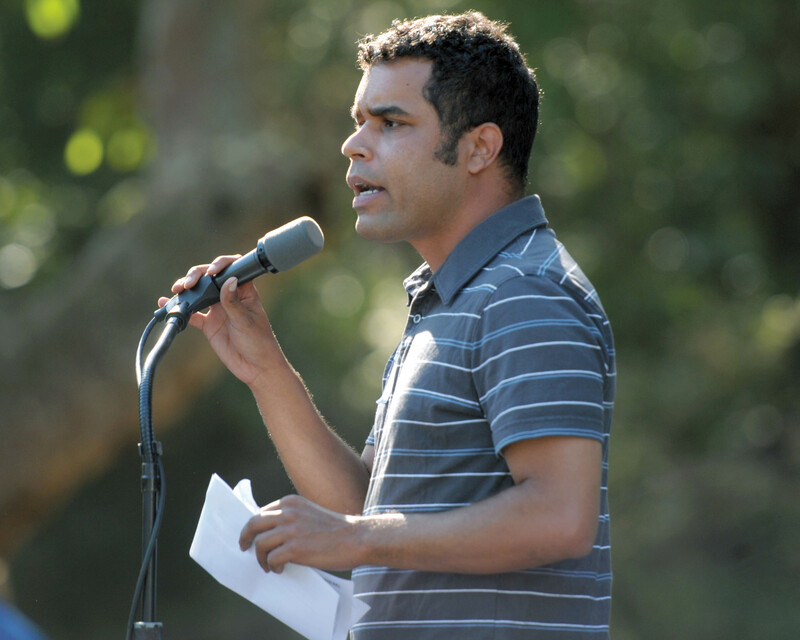 Daraka Larimore-Hall, Santa Barbaraâ€™s most prominent unelected Democrat, faces a sudden, surprising test in his campaign to be elected chair of the state party. Locked in a three-way political race for the powerful job, Daraka last week absorbed accusations of â€œshady, illegal behaviorâ€ from one of a trio of Dem staffers who sued the party amid a messy sexual harassment scandal â€” who now alleges he pressured her to withdraw litigation claims aimed at him. There is political irony here, because Larimore-Hall was the person who last fall blew the whistle about sexual misconduct allegations swirling against then-chair Eric Bauman. The charges of rampant loathsome behavior that Daraka aired led to Baumanâ€™s resignation â€” and the ongoing, fierce campaign to replace him. That would be Daraka â€” who firmly denies any such thing. SUBTLETIES OF RECKONING: At a time when Democrats across the nation engage in a painful reckoning over male conduct and comments toward and about women, Earleyâ€™s post, and Darakaâ€™s 607-word written response, offer a social media case study of conflicting perspective in the #MeToo era. Importantly, the issue here is not an accusation of improper physical behavior per se, but a more subtle, next-level dispute: What expectations for an appropriate and permissible verbal response are due one who makes such an allegation? In her piece, Earley claimed that Larimore-Hall failed to help when she pleaded that the party not hire a certain Sacramento law firm to look into the mess: She felt intimidated and panicked, Earley wrote, because her college employed the same firm to investigate after she was â€œraped and assaulted on an ongoing basisâ€ as a student by a university official; the law firmâ€™s actions during that process humiliated her, she wrote. In the Democratic lawsuit, she listed as a complaint the alleged indifference of Daraka, aka â€œsenior official,â€ to her concern about the law firm. Further, she wrote, he communicated via another person that he was â€œdispleasedâ€ and â€œhurtâ€ that she did so, and he also made â€œthreatening commentsâ€ about it to another plaintiff. â€œWhen I saw allegations in the original lawsuit saying that I had been dismissive of one of the victimâ€™s concerns and that I had not informed the victims before filing charges against Bauman, I was stunned, as this did not match my recollection of our discussions,â€ he wrote. He flatly denies threatening or intimidating anyone. BOTTOM LINE: It is unclear whether the controversy will hurt Daraka in the high-cost, high-stakes political brawl to lead state Dems. It canâ€™t help.